The Hi Bebe BT200S Fetal Doppler by Bistos allows you to listen to your baby’s heart beat from 10 weeks! Order by 12 Midday (AEST) for same day dispatch via Express Post Free! Note: This model is for sound only and does not calculate or display the baby’s fetal heartrate. Please check out our LCD Fetal Doppler range if you wish to view the baby’s heartbeat rate on screen. 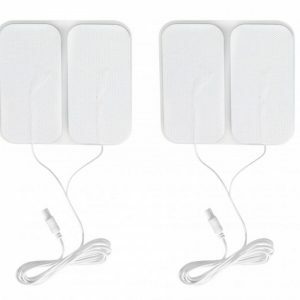 Now you can ease some of the anxiousness of pregnancy by listening to your baby’s heartbeat regularly at any time in the comfort and privacy of your own home. Imagine sharing the joy and excitement of your pregnancy with your loved ones. A Doppler is a great way to start bonding with you unborn child now. The other special people in your life will love taking an active role in your pregnancy. With FREE next business day delivery (conditions apply), you can use the Belly Beat Doppler to pick up your baby’s heartbeat from as early as 10-12 weeks. Each Sound Doppler comes with batteries, gel, instructions, tips and a carry case. Our Doppler comes with an audio output which allows you to record your baby’s heartbeat using a computer. Save the sound file and send it to friends and relatives far and wide to listen and share in the fun. The Hi-BeBe Doppler as supplied by Belly Beat is a quality medical grade instrument used by health care professionals throughout Australia. Belly Beat are authorised sellers and the Doppler has TGA approval in Australia and is approved for use in many other countries also. A Fetal Doppler is an ultrasound device which can detect the fetal heart beat. These are the same devices doctors, nurses and mid-wives use every day. Dopplers do not detect sound; they send ultrasonic waves which bounce off moving objects including the fetal heart, flowing blood and even the baby’s moving arms and legs. Is a Doppler safe to use? In over 30 years of daily use and with constant testing being done around the world, no adverse risks to the mother or baby have been detected. Our Dopplers have been approved by the Federal Department of Health’s Therapeutic Goods Administration and thus meet the highest of safety standards. The machine must only be used for its intended purpose and a couple of minutes each day should more than satisfy your desire to hear your baby’s heartbeat. 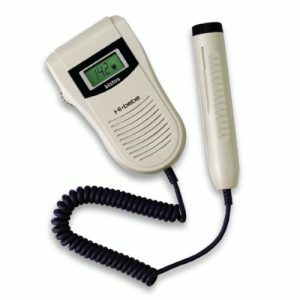 How early can the Doppler pick up my baby’s heartbeat? A Doppler can detect the heartbeat from as early as 10-12 weeks however for some it may be later than this. Please refer to Doppler Tips for best results. Will I be able to tell my baby’s heartbeat from mine? Your heartbeat will be noticeably different from your baby’s. Please refer to Doppler Tips for more information. Why do I need ultrasound gel? Applying a layer of gel between the Doppler probe and the tummy ensures a clear signal for detecting the fetal heart beat. Doppler sound waves do not travel easily through the air and without the use of the gel, static interference may prevent a clear, audible sound. The Belly Beat Doppler comes with a 60g tube of ultrasound gel. What if I run out of ultrasound gel? 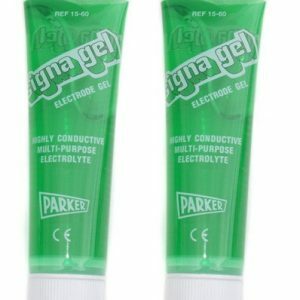 We believe that the SignaGel brand gel you receive with your doppler is the best for both you and your machine. You can purchase additional gel via our website and we will get it in the post within 1 business day. Alternatively, you can use other water-based lubricants such as those found at chemists. How long will it take me to receive my Doppler? Orders placed by 3pm AEST (or AESDT during daylight saving), will be dispatched the same day. After this time it will be dispatched on the next business day. We use the Express Post service via Australia Post however, next business day delivery is not guaranteed. Do I need to be at home to receive my Doppler? You do not need to be at home at the time of delivery as Australia Post will leave a card for you if they cannot leave the parcel at your door or in your mailbox. This does mean that you will need to visit the post office as specified on the card to collect your parcel. What if I want my Doppler delivered to work but haven’t told them I am pregnant? Belly Beat Doppler understands the need for discretion. The parcel does not have the business name specified anywhere to ensure your privacy. What if you are out of stock? Once you have placed your order we will contact you to let you know we are out of stock and provide you with an estimated wait time. At that time you can cancel your order or choose to wait for a Doppler to become available. Why do you use a Third Party company for payments and are my details safe? We use the PayPal system. PayPal has quickly become a global leader in online payment solutions with more than 200 million accounts worldwide. PayPal is the safer, easier way to pay online. The service allows anyone to pay in any way they prefer, including credit cards, bank accounts, buyer credit or account balances, without sharing financial information. Please refer to www.paypal.com.au to review their security and conditions. All online payment systems do ultimately go through a third party and Belly Beat has decided they do not want to record or have recorded on their property any personal banking details. This way you have the knowledge that your details are being kept safe with one of the leading online payment systems in the world. Many Australian companies are now using PayPal for online payments. You may be surprised at just how handy it is to have a PayPal account. The Doppler is intended for use solely as a fetal heart monitor. It is not to be used for anything else. Failure to adhere to this will render the warranty void. It is very important to note that while the Hi-Bebe Doppler is a medical grade instrument, Belly Beat do not intend for the Doppler to be used in any way for diagnostic or other medical purposes unless the purchase has been made by a licensed medical practitioner. The device should not be used as a substitute for or replacement of regular recommended antenatal care. Always seek professional, medical advice should you have any concerns during your pregnancy as just listening to your baby’s heartbeat doesn’t assure you of your baby’s well being. The terms and conditions can not be modified in any way except by agreement and in writing. By purchasing a Doppler from Belly Beat you agree to release, indemnify and hold harmless Belly Beat and all associated persons from all liability arising from or relating to the use of the Doppler and associated equipment purchased from Belly Beat. These terms and conditions are governed by the law of New South Wales, Australia. By buying a Belly Beat Doppler you accept and agree to these terms and conditions. Belly Beat is a 100% Australian owned and operated business. All Stock is sent from our warehoue in Smeaton Grange, NSW via Express post. bellybeat.com.au is a secure website. We do not store your credit card information.